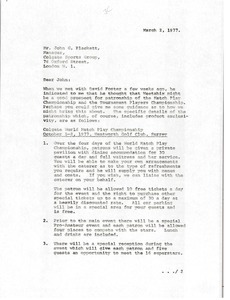 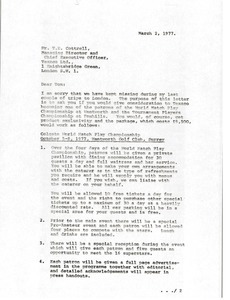 Great Britain - McCormack informs J. K. Hunter that he will not be in Scotland on September 24th and that he will have to defer his "first victory in the British Airways Riddell Trophy" for another year. 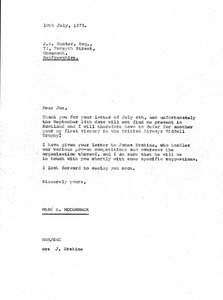 He indicates that he has given Hunter's letter to James Erskine, who will be in touch with him shortly with some specific suggestions. 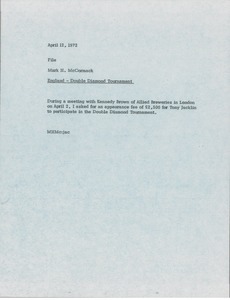 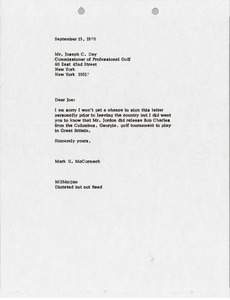 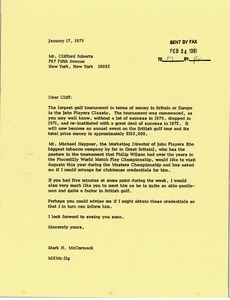 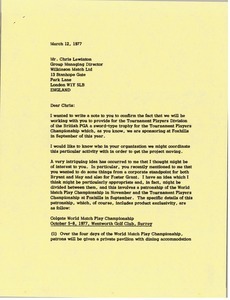 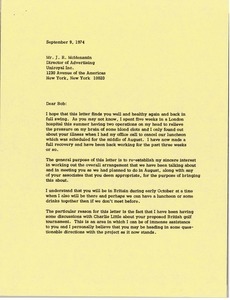 Great Britain - McCormack knows that Jordan released Bob Charles from the Columbus, Georgia golf tournament to play in Great Britain. 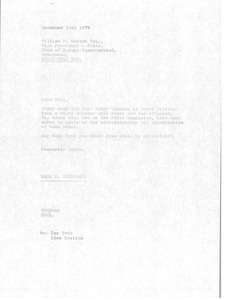 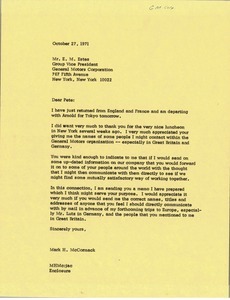 Great Britain - McCormack thanks Estes for giving him names of people in General Motors to contact in Great Britain and Germany.